What's the logic here. I was trying to do mission 12.5 and there's a pit that spawns walkers on fire. The whole idea of walkers on fire defeats the buffs that melee classes have gotten over time. If your survivor attacks a walker on fire with melee, even if it kills it, your survivor receives damage. I had no prior experience of that map, but anyone with any insight would be foolish to bring a melee survivor to play on a map which features walkers on fire, on top of the fact that they spawn in a cluster. I think walkers on fire do nothing but pigeon-hole players into using only ranged survivors. Yes. Episode 12 is full of firewalker missions so DON'T bring melee survivors, while episode 13 is full of armoured walker missions so DO bring melee. I think walkers on fire do nothing but pigeon-hole players into using only ranged survivors. Gee, maybe you're onto something there. 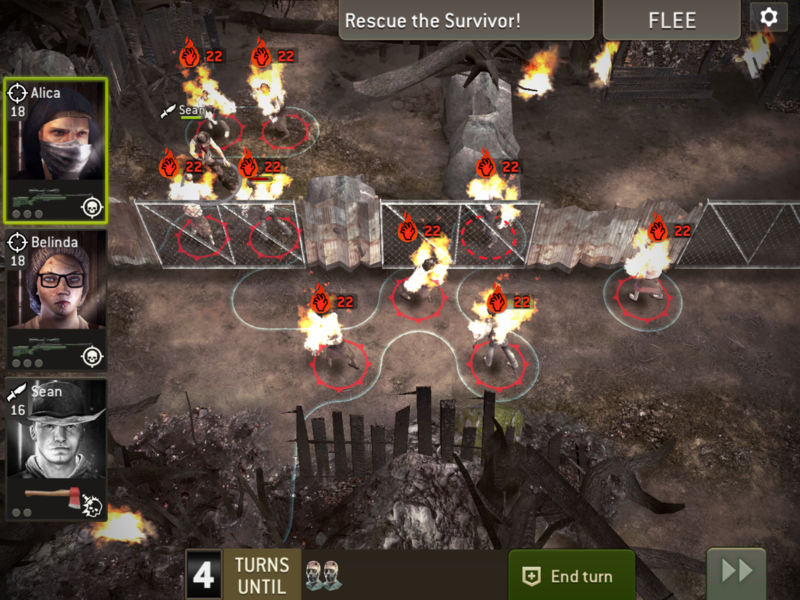 Similarly, there are some missions in The Forest Challenge that contain walkers on fire. Don't bring melee survivors for those missions. I actually think its a good way to get players out of their comfort zones. Still frustrating until you figure it out, of course. Yeah, I tried that episode......once. I'm not going back to it until I have a bazooka, a tank and a nuke!! Does this look familiar @Neil_J ? @NCDawgFan It's nigh on impossible at current levels. Actually, make that beyond possible. I tried it once, got slaughtered and haven't been back in there since!